Delve Into Jesus : Reflections : Jesus is Coming May 21? Reflections : Jesus is Coming May 21? Jesus is Coming May 21? We understand that Jesus is coming back this year. On May 21, 2011, to be precise. Our wedding anniversary! We read it in the Washington Post. It seems that Harold Camping, a Christian radio broadcaster in Oakland, California, has determined the date through a complex analysis involving biblical prophecies, numerical codes, and his calculated date of Noah’s flood: Jesus will return May 21 to take believers to heaven and begin judging the world. “Save the Date!” advise billboards and signs on supporters’ cars. Guaranteed? Whoa! What’s that about? Now add 7,000 years to 4990 BC/BCE (including an extra digit because there’s no year zero) and you get 2011 AD/CE. Whew! But wait. 2011. Twenty eleven. “Eleven” rhymes with “heaven.” And May 21, 2011, is our eleventh anniversary. Whoa! Spooky! Maybe there is something to this May 21st thing. If Jesus is coming that day, maybe we should invite him to our anniversary. It’s on a Saturday this year - wonder if he could make it? 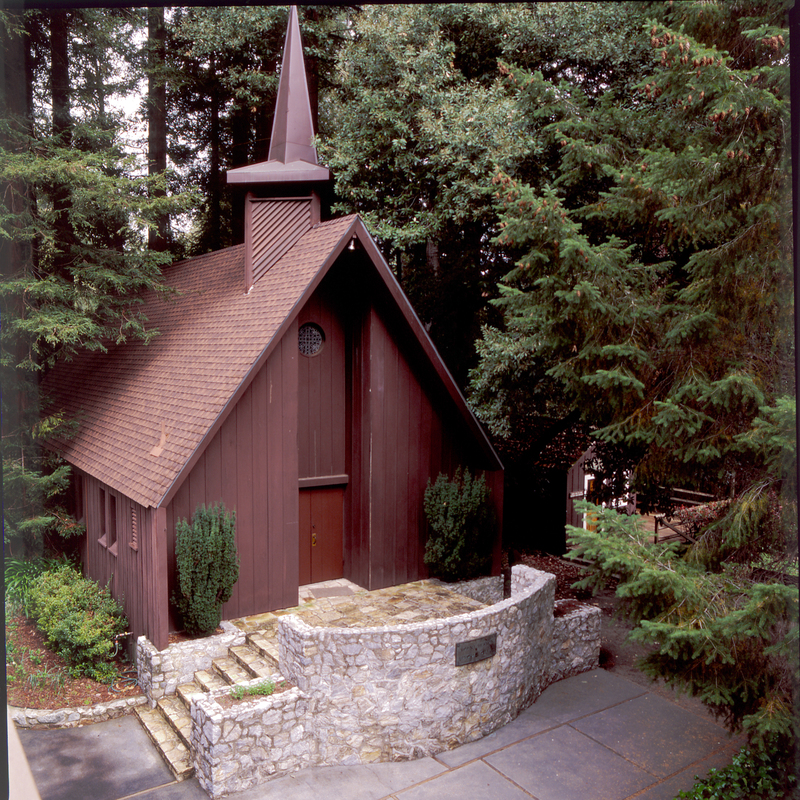 On most anniversaries we return to the small mountain chapel where we wed, and renew our vows. It’s a private celebration, just the two of us … and, of course, God as our witness. Make’s a great refresher. We highly recommend it. Sometimes, the chapel door is locked. A few years ago, we couldn’t get in, so we renewed our vows in our car across the street in front of the post office. Not the memoried locale we’d hoped for, but it was romantic all the same. Of course, Jesus wouldn’t have a problem with locked doors, if his past is any indication. But he does have a history of attracting crowds, and that could be awkward in a small chapel. Plus, would he even have the time if he’s busy judging the world that day? There’s another concern. The San Francisco Chronicle reports that Camping once promised Christ would return on September 6, 1994. When that didn’t happen, he allowed he might have made a mathematical error. Oops. What about Camping’s “biblical guarantee”? Guess you have to be careful in what – or whom – you believe. Camping and his supporters may mean well, but somehow we think that Jesus knows more about this one. His prophetic track record is better anyway. Think we’ll plan on a quiet, private anniversary celebration on May 21. Jesus can watch, of course, but we’re guessing it will be from heaven. Meg Korpi is a senior research scientist who studies character development and ethical decision-making through the Character Research Institute in Northern California. She holds a PhD from, and formerly taught at, Stanford University.